Some dogs are afraid of vacuum cleaners. And some enjoying them more than you can imagine. 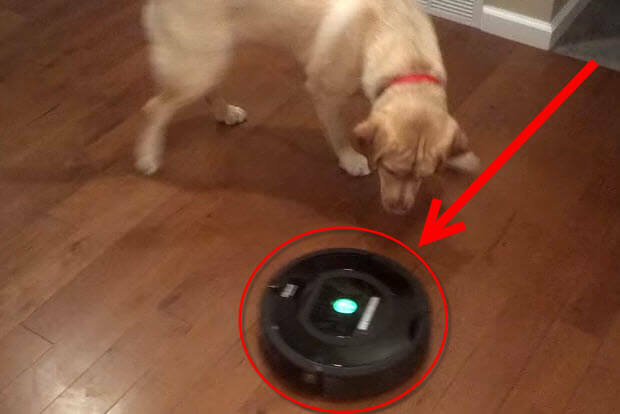 Watch this dog’s reaction to roomba as it approaches this cute pooch. Even though she saw it before she still can’t figure out what animal it is and how to react to it. In her mind this is something that is moving around and can even chase her and it makes zero sense to this cute Labrador Retriever. 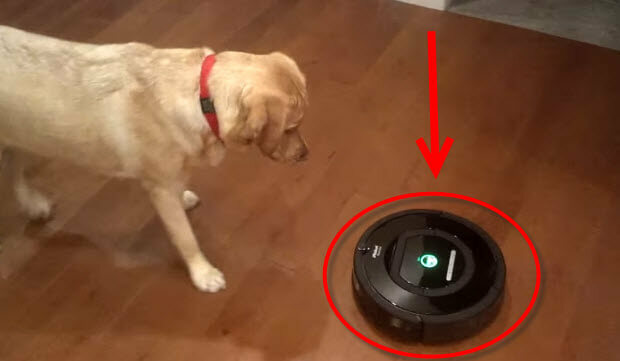 Labs are very smart dogs, but even smart dogs can’t comprehend the robotics and it is so enjoyable to watch her reaction to the vacuum cleaner. Selfless Man Gave Up Everything To Build A Shelter For Homeless Dogs! Watch The Amazing Story Here! (AWESOME) Have You Seen Salma Hayek With Adorable Puppies On The Tonight Show? Do Dogs Need Sunscreen Too?